Here in the A-T-L, you know your grocery stores by the adjective placed before the name of the grocer. This is my side of town's most popular grocer, Murder Kroger. Ask anyone around these parts where the Murder Kroger is and they'll tell you: "It's around the corner from the Clermont, right next to Murder City Hall." Well, I added the "Murder City Hall". 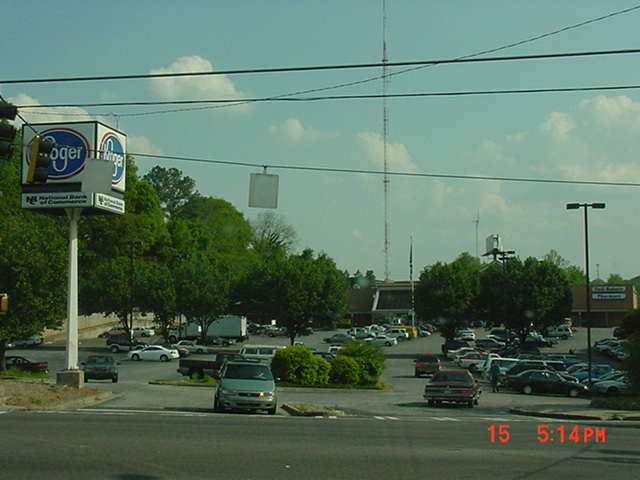 But here it is, folks, the infamous Murder Kroger [as seen on COPS]. As opposed to Disco Kroger in Buckhead. Aren't we creative here in the Deep South?